Available in 22 colour paints, the Bermuda range is an ideal choice for those who want durable hard wearing coloured shutters. Due to their lighter weight, Bermuda shutters are also a better choice for large windows. Our Java ABS shutters are 100% water resistant. This feature makes them perfect for bathrooms and kitchens. 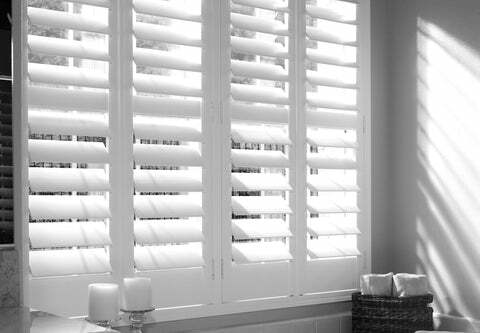 ABS is also a much more elegant material than vinyl, often used for manufacturing cheaper shutters. Entry-level hardwood shutter manufactured from a mix of sustainable hardwoods with a medium density fibreboard (MDF) frame. Available in 6 colours. High quality hardwood, excellent at keeping homes cool in the summer months and warm in the winter. Available in an outstanding array of colours and stains. Manufactured from White Teak, Sumatra offers an enormous amount of flexibility and customisation. A bespoke shutter solution second to none.